After pioneering the national water quality market in 2008 by opening the first two retail nutrients off-set banks, Restoration Systems partnered with Virginia’s Chesapeake Bay Nutrient Land Trust to sponsor the largest nutrient off-set facility in the Chesapeake Bay and James River watersheds. 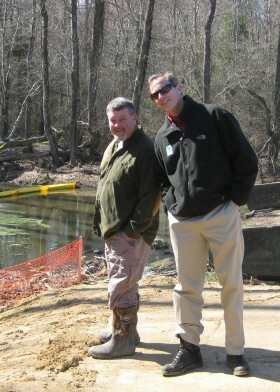 Fully permitted and open for business in October 2011, the Cranston’s Mill Pond Nutrient Bank (CMP) has been issued more than 800 “pounds” of Phosphorus off-sets which can service the entire James River watershed. Each of these pounds is currently for sale to off-set expensive and often ineffective on-site water quality controls. The buyer will be relieved of significant on-site obligations and leave the water quality improvements and long term costs to RS and CBNLT at Cranston’s Mill. The offsets at CMP are authorized through an existing Virginia Department of Environmental Quality (DEQ) program, certified by both DEQ and the Virginia Department of Cultural Resources, and overseen by the U.S. Environmental Protection Agency. The property is approximately 50 acres with direct access to a sensitive estuary. The historic mill pond dominating the parcel had been in place for approximately 100 years. 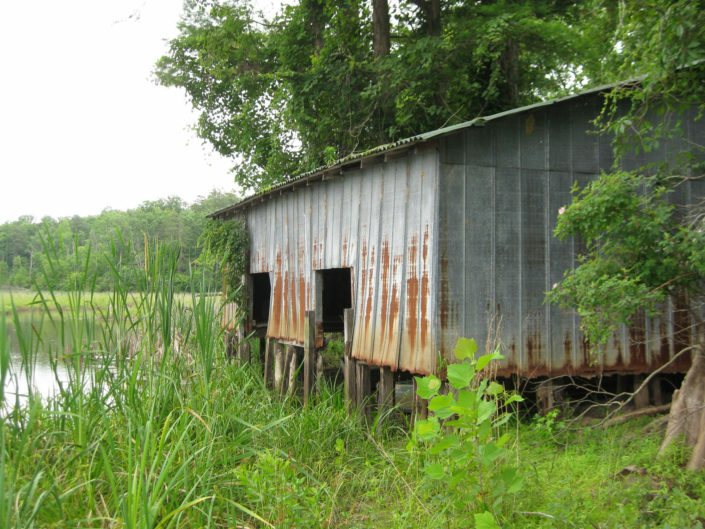 The earthen dam was breached during Hurricane Ernesto on September 1, 2006, causing lowered water elevation in the pond and the unimpeded leakage of nutrients downstream into the Chickahominy River, the James River, and ultimately the Chesapeake Bay. In 2003 the DCR conducted a natural resource inventory and classified portions of the sixteen square mile watershed as highly significant to biodiversity in the state. This resource inventory would become to be known as the Yarmouth Creek Watershed Plan. The Yarmouth Plan states that the watershed contains extensive complexes of nontidal wetlands, forested uplands, bald cypress swamps, and rare types of tidal freshwater marsh. Many of these highly functional and environmentally sensitive communities are located in the tidal mainstem of Yarmouth Creek downstream from Cranston’s Mill Pond, emphasizing the importance of maintaining the historic pond and preventing nutrients and sediments from polluting well established ecosystems. The Yarmouth Creek watershed provides a high level of recreational value due to the diversity of fish, waterfowl and wildlife. The primary goal of the project is the reduction of nitrogen and phosphorus loading into the Chesapeake Bay and its tributaries (specifically Yarmouth Creek, the Chickahominy River and the James River). These reductions will Provide DEQ and the Department of Conservation and Recreation (“DCR”) with an implemented project in the Bay watershed that provides innovative, demonstrable, and quantifiable progress towards Virginia’s commitment to nutrient reduction and meeting the Bay TMDL (total maximum daily loading) goals as established in coordination with EPA. 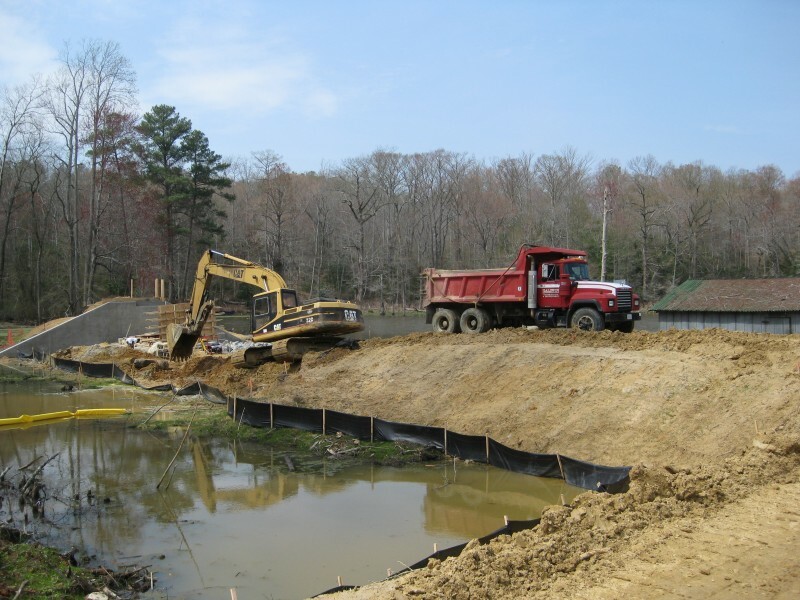 Secondary Goals are to restore the hydrologic conditions above Cranston’s Mill Pond dam and eliminate the ongoing head-cut erosion of the pond-bed sediments. Once these items are addressed we can prevent further degradation to the water quality downstream of Cranston’s Mill Pond including reaches of Yarmouth Creek, the Chickahominy River, the James River, the Chesapeake Bay and associated high quality tidal and nontidal wetlands. 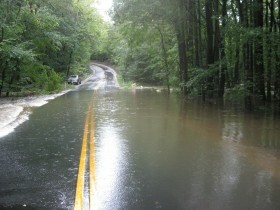 Additional ancillary benefits may include reducing the potential for a) stream bed and bank erosion; b) loss of established habitats within and downstream of the Property; c) changes to riparian vegetation; d) increase in invasive species, and e) increased flooding of and damage to state roads.